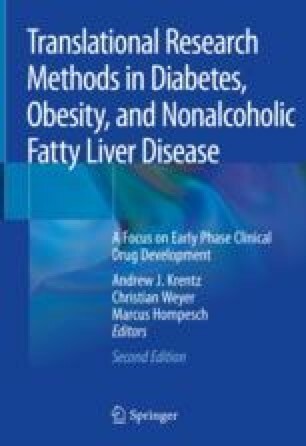 In the context of diabetes and related metabolic disorders imaging is well suited to studying the effects of new drugs on relevant clinical outcomes including atherosclerotic cardiovascular events, heart failure, and renal function. Accordingly, imaging is becoming more widely used in aspects of cardiometabolic drug development. Key techniques include computed tomography (CT), magnetic resonance imaging (MRI) and positron emission tomography (PET). Hybrid imaging systems, e.g. PET/CT and PET/MRI which are becoming more available offer opportunities to combine detailed morphological imaging with functional and molecular imaging. Combining imaging with other investigative techniques, e.g. hyperinsulinemic euglycemic clamps, can provide additional functional assessments that may be of value in drug development. This chapter reviews recent innovations in structural and functional imaging of major metabolically active organs including the pancreas, skeletal muscle, adipose tissue, kidney, and heart. Each method has advantages and limitations with respect to applications in drug development. These include the pathophysiological relevance of the imaging, accuracy, suitability for repeated clinical studies, cost, and availability of expertise in application and interpretation.